There is undeniable truth in the old saying that “practice makes perfect”, and yoga instruction is no exception; continued practice through experience most often helps teachers maintain and strengthen their current skills as well as build new ones. Practical knowledge also most often comes through “real-time” teaching experience. On the other hand, life events such as pregnancy/early motherhood, higher education, and significant illness or injury can necessitate a “time-out”, so to speak, from teaching yoga. On the other hand, I’ve been able to maintain my teaching skills through certain consistent practices. 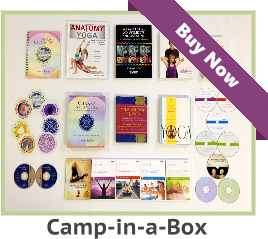 These include independent sequence-building for my own asana practice, utilizing online resources for practice and engaging with the yoga instruction field’s current discourse, and incorporating particular teaching opportunities (if intermittent) into requirements for my Master’s degree education. A beautiful thing about yoga is that it only truly requires a flat, open space and oneself (with the knowledge of how to carry out a particular practice, of course). Attending a class at a studio or other organization (such as a gym/fitness center) has the benefits of practicing in community with others, as well as (hopefully) knowledgeable instructors who are adaptable enough to guide students to their best practices. For yoga instructors, learning from other instructors’ teaching styles through attending their classes can also be invaluable. For those same teachers, those classes might not be financially feasible nor fit into otherwise busy schedules, however. On the other hand, I found that no matter how busy I became with graduate school and other obligations, I had a certain half-hour or so on particular nights of the week to sustain my own practice. As well, even when my bank account got too low to afford outside classes, my own mat never charged me anything. Many instructors also deem a consistent home practice important for the developments of our own teaching skills because it builds and maintains skills for sequencing our classes and modifying postures for our students. With all of that in mind, I set up a home practice when my schedule allowed time for it with consistent methods. Those, which I continue to practice, “kill two birds with one stone’, so to speak; they further my own home practice while also strengthening my sequencing and posture-modification skills. I look to outside resources to aid me in these endeavors. Firstly, I pick a posture and build a sequence to lead up to it (building strength and flexibility, or resolving of emotions such as fear of an upcoming challenge, for instance) in the style of Yoga Journal’s “Master Class”. I modify postures according to my mind and body’s conditions on certain days. Other weeks I make a sequence to serve whatever physical, spiritual, and/or mental needs I might perceive I have, calling it “My Sequence”. I similarly modify postures and sequences as necessary – adding a few more Surya Namaskars if I feel energetic, or maybe not stretch as deeply as usual into my Baddha Konasana if I sense tightness and soreness in my quadriceps, for instance. Such sensitivity to physical and mental states is imperative for effective yoga instruction, so that we can sequence and modify postures for our students to guide them to the practices that will positively contribute to their overall well-beings. If we cannot do that for ourselves, I ask, can we expect to be able to do that for others? For that reason, I sincerely believe that even if any given yoga instructor is not in the position to practice such teaching skills through direct experience, he or she can maintain – and truly even strengthen – those skills with the laboratory of him/herself. 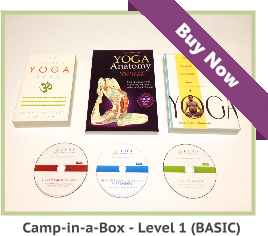 If one must take a temporary leave from yoga instruction because of conditions such as pregnancy or illness, there is additional opportunity to modify practice to be appropriate in light of such a condition – and therein even more concretely build new skills in the invaluable modifying and sequencing of our instruction (keeping in mind the need for special training, such as in pre-natal yoga for pregnancy, however). 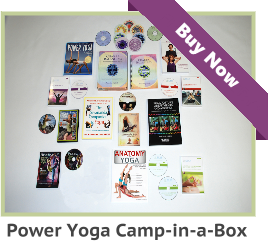 I have another similar continued practice utilizing the online resource of MyYoga Online, which offers free videos and written content on yoga instruction through emails. I watch the short video clips (from about four to ten minutes) and pull out posture modifications, concepts, or goals that might appeal to me on that day. I build a sequence from that, with the same sensitivities to my present condition as described above. The advantages are also as described. A similar online site is dailyburn.com, with low-cost yoga class content. YouTube.com also has a plethora of free class offerings (some short, though still valuable). 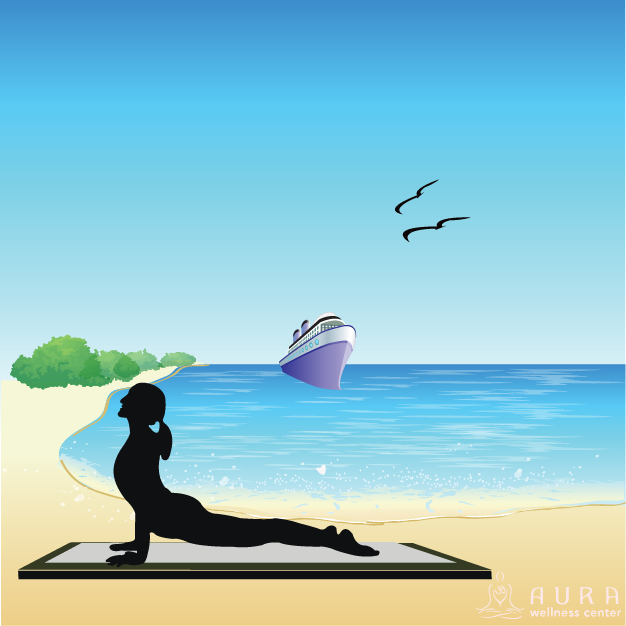 I additionally regularly read a selected article from those offered in MyYoga Online’s emails, as well ones from Aura Wellness Center Instructor Blog’s email and those recommended from the members my yoga-related LinkedIn groups. This is another practice that one can fit into one’s schedule as it allows for, even reading on one’s “smartphone” while waiting in line or sipping tea at a café. Not all yoga instruction and discourse out there is filled with accurate representation of yoga as an ancient science of wellness, or even sound and safe anatomical awareness – yet there is much to be learned from other instructors worldwide, as the online world offers. The discretion to know the difference is another valuable skill of yoga instructors that we can enhance through practicing it in such a way. Through all of this I sensed that nothing could replace engagement with a yoga community as a student or teacher – if that can only be occasional for me. I therefore have saved up spare cash and open up space in my schedule to at least intermittently take classes at one or two favorite local yoga studios. Many studios have “$5 Community Classes”, which are helpful financially. Some of those even have a rotating teacher roster, offering more opportunities to learn new perspectives from instructors. I also weave in teaching opportunities into and through other life requirements. For instance, my Supervisor at my internship in the memory-support unit (with Alzheimer’s/Dementia patients) was happy to have me teach a weekly Chair Yoga Class for the residents. Doing so helped me to be more effective in teaching that yoga style – one that will be increasingly necessary and healthful in the corporate, elder care, and disabled veterans’ care spheres. It was also incredibly fulfilling to see the residents, sometimes not even able to remember which room is theirs and incredibly anxious or depressed about that fact, feel significantly more settled and content from simply moving and breathing together. For example, if one works in the corporate sector one could survey the office about interests in and availabilities for an office class, and accordingly offer that on a volunteer or donation-based format. I suspect the same could result in the hospital, human-service, and related sectors. A volunteer or donation-based class could lead to one that pays (given “higher-ups” recognizing its value and one’s commendable efforts as a teacher, perhaps), and/or requests for private lessons from students. The possibilities are there – and making them realities starts with just a few questions to the right people, as well as a bit of courage to take those first steps. I believe that all of the above demonstrates that, though it may take time and trial-and-error, it is possible – and invaluable – to build a set of practices to keep you in the yoga instructor “loop” when life temporarily pulls you in other directions. Your instructor’s mat, with eager and grateful students right before it, will be ready for you when you are – which I’m sure (if you happen to be in such a “hiatus” situation) you’re making plans for and dreaming about already.